The wide assortment of flavorings used to spice up your vaping experience could be damaging your cardiovascular system, suggests new research released Thursday. The study, published in the journal of Arteriosclerosis, Thrombosis, and Vascular Biology, found that several common e-cigarette flavorings can directly harm blood vessels. But, as with so many similar studies, it’s hard to tell how relevant the findings are to a typical vaper. Researchers at Boston University conducted a series of experiments. 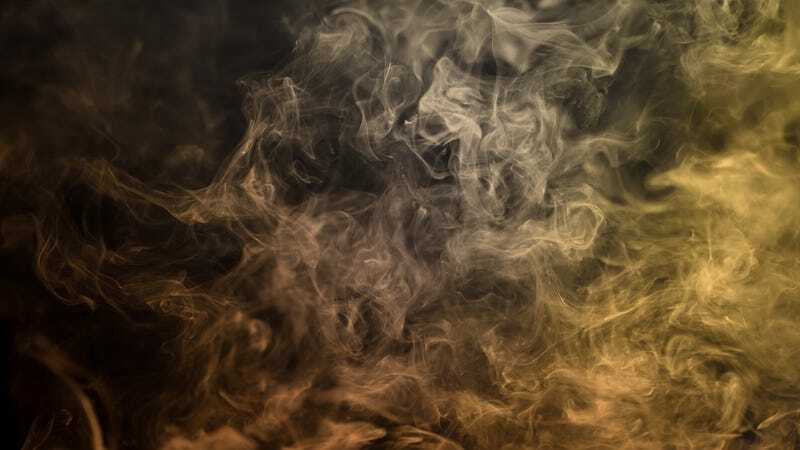 First they took endothelial cells—the cells that make up the lining of blood vessels—from two groups of traditional tobacco smokers, those who regularly used menthol-flavored cigarettes and those who use unflavored tobacco cigarettes. They then compared them to cells taken from non-smoking volunteers. The cells from both kinds of smokers were less able to perform a key function: the production of nitric oxide, a colorless gas used to dilate blood vessels. The same thing happened to non-smoker cells that were directly exposed to menthol and eugenol (a chemical used to give a clove oil flavor). These results allowed the researchers to set up a baseline against which flavoring additives commonly used in e-cigarettes (traditional cigarettes are only allowed to have menthol flavoring) could be compared. Next, the researchers exposed lab-cultured endothelial cells to different levels of nine flavoring additives, including menthol, vanillin (vanilla), and cinnamaldehyde (cinnamon), for 90 minutes at a time. The chemicals were heated to the same temperatures that an e-cigarette would create and turned into an inhalable aerosol. At the highest amounts of exposure, unlikely to ever happen during a typical vaping session, the chemicals caused cells to outright die. But even at lower levels, the researchers noticed that five flavorings (the three chemicals above, along with eugenol and acetylpyridine) could cause impaired nitric acid production and inflammation in these cells. The study isn’t the first to find that e-cigarette flavorings could hurt our circulation (or our lungs), though Fetterman and her team say it’s the most direct proof yet. But there are questions surrounding their work’s real-world implications. What’s needed, Fetterman says, are studies that directly test the effects of flavoring additives in people right after they vape it up. Her team is already in the middle of conducting studies on vapers, so “hopefully we will be able to shed some more light on this topic soon,” she said. Some researchers and public health experts have already embraced vaping as a way to wean people off of smoking, arguing that even if it’s not completely harmless, it’s much better than traditional smoking (though vape products could potentially be a gateway into actual smoking for some teens). But others, including Fetterman, are still on the fence.